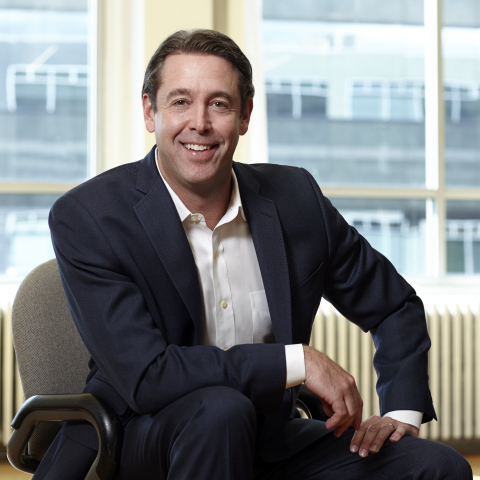 SEATTLE--(BUSINESS WIRE)--DarkLight, Inc., formerly Champion Technology Company, Inc., and maker of the first of its kind cybersecurity solution using an Artificial Intelligence Expert System, today announced the appointment of Dan Wachtler as Chief Executive Officer. Mr. Wachtler joins DarkLight having extensive experience in both financial crimes compliance and cybersecurity – both of which are verticals the DarkLight platform is expected to serve. Mr. Wachtler joins DarkLight just as the team and Co-Founders Ryan Hohimer and John Shearer – with extensive support from DarkLight CISO and cybersecurity science expert Shawn Riley – launch the latest version of DarkLight Cyber. The DarkLight Cyber solution is a knowledge engineering based active defense product which takes over where Machine Learning AI leaves off. Formerly President of a NASDAQ listed cybersecurity and financial crime investigative company, Mr. Wachtler has led numerous capital raises and managed large corporate realignment efforts to include international expansion efforts. He is passionate about working with companies and teams who prioritize making a difference in their chosen line of work. In conjunction with the name change and the appointment of Mr. Wachtler, the Company has moved its headquarters from Santa Monica, California to Seattle, Washington. The recent efforts are to position the company for anticipated growth and need for talent. DarkLight™ Cyber is an Active Defense cybersecurity solution and a force-multiplier with sharable ‘Cognitive Playbooks’ addressing the greatest challenge facing the industry today – the lack of skilled cyber analysts and investigators. It is a first of its kind, knowledge engineering based expert system for scientific inquiry and scientific knowledge management of an organization’s integrated cyber defense and resiliency knowledge. The underlying Artificial Intelligence engine was created at one of the nation's most advanced research laboratories – the Pacific Northwest National Lab. The Company recently emerged from stealth, bringing its patented technology to the commercial market for use by enterprises of all sizes. DarkLight’s AI vastly improves cyber security operations and automates the cognitive processes of their most highly-prized resource: the logic and experience of human analysts and investigators. To learn more, please visit www.darklight.ai. DarkLight, a cybersecurity solution using an Artificial Intelligence Expert System, appoints Dan Wachtler as Chief Executive Officer.